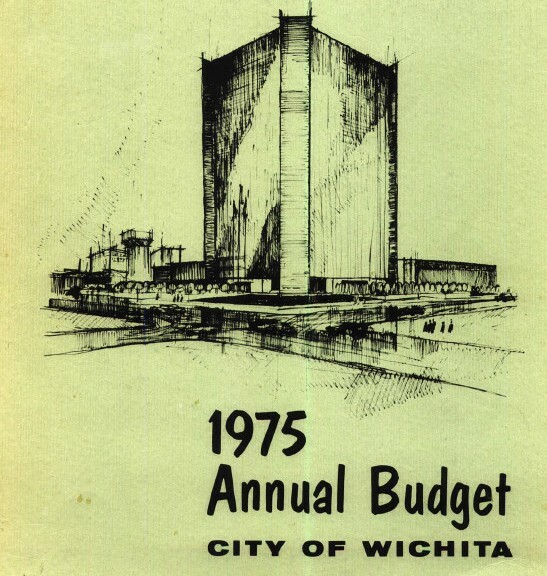 The City of Wichita property tax mill levy declined for the second year in a row. 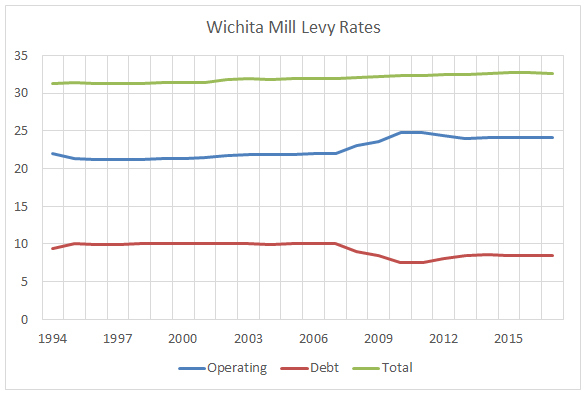 Wichita mill levy rates. This table holds only the taxes levied by the City of Wichita and not any overlapping jurisdictions. In 2016 the mill levy was 32.685, so the mill levy dropped by .018 for 2017. That’s a drop of 0.06 percent, and while small, it’s a refreshing change. It’s also the second year in a row for a decrease in the mill levy. 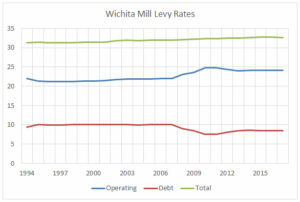 Wichita mill levy rates. Click for larger version. 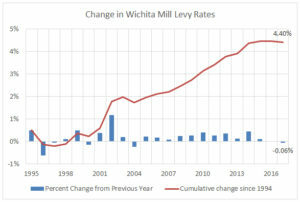 The Wichita City Council does not take explicit action to set the mill levy rate. Instead, the rate is set by the county based on the city’s budgeted spending and the assessed value of taxable property subject to Wichita taxation. While the city doesn’t have control over the assessed value of property, it does have control over the amount it decides to spend. As can be seen in the chart of changes in the mill levy, the city usually decides to spend more than the previous year’s mill levy generates in taxes. Therefore, tax rates usually rise. 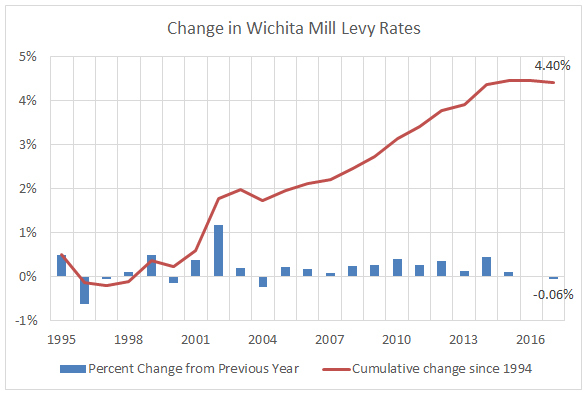 Change in Wichita mill levy rates, year-to-year and cumulative. Click for larger version. It’s more common for the mill levy to rise rather than to fall. In those years, the council does not take responsibility to the rise. It will be interesting to see if council members take credit for the falling mill levy this year. An increase of 4.40 percent over two decades may not seem like much of an increase. But this is an increase in a rate of taxation, not tax revenue. As property values rise, property tax bills rise, even if the mill levy rate is unchanged. 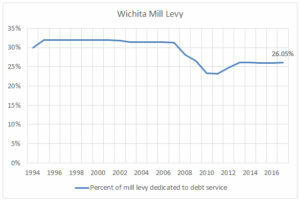 Wichita mill levy, percent dedicated to debt service. Click for larger version. 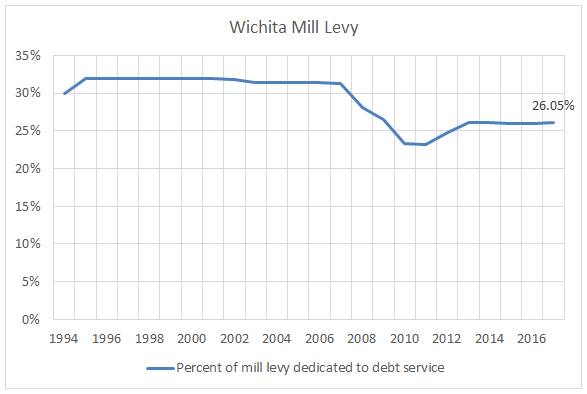 In 2005 the mill levy dedicated to debt service was 10.022. In 2017 it was 8.511. That’s a reduction of 1.511 mills (15.1 percent) of property tax revenue dedicated for paying off debt. Another interpretation of this is that in 2005, 31.4 percent of Wichita property tax revenue was dedicated to debt service. In 2017 it was 26.0 percent. This shift has not caused the city to delay paying off debt. This city is making its scheduled payments. But we should recognize that property tax revenue that could have been used to retire debt has instead been shifted to support current spending. Instead of spending this money on current consumption — including economic development spending that has produced little result — we could have, for example, used that money to purchase some of our outstanding bonds. 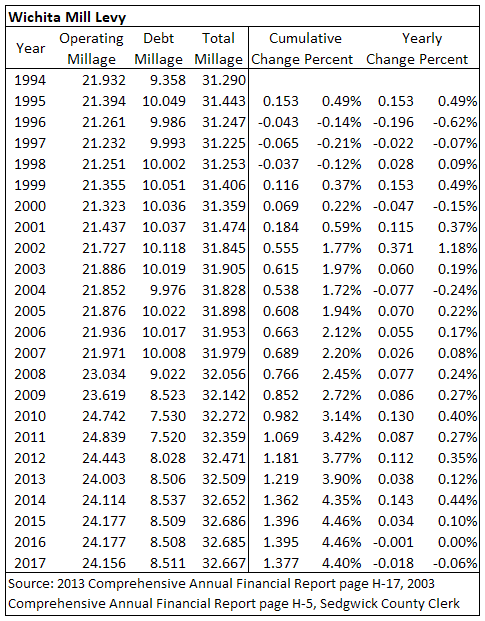 Do you have a graph and figures on total budget cost since 1994. Since they can just increase values the mill levy doesn’t really represent how much the city has increase costs. Also a good number to compare is how big the city has grown from size and population.